A study conducted by India’s National Crime Records Bureau shows that more than 2500 students per year commit suicide due to fear of failure, failure itself and peer pressure. Each year there is (approximately) a ten percent increase in the number. Kanpur, 2016 : A fourteen year old girl studying in ninth grade at Bilhaur village, committed suicide by hanging herself after being harassed and beaten up over homework by her teacher. The teacher, Alok Yadav persistently pestered and coaxed her to join his private tuitions even after she had repeatedly refused. New Delhi, 2016 : Sushant Rohilla, a meritorious student of Amity Law School ended his life on August 10 by committing suicide due to low attendance(on account of a severe leg injury). He was also harassed by the administration and authorities. The student had written an email requesting, in fact ‘pleading’ to the authorities not to debar him from the examination on medical grounds. He gave many coherent signals stating that-‘it will hamper his life to an unimaginable extent’ and ‘he might not mentally survive this’. Despite the pleas, no one from the college authorities paid heed. Three young citizens, three different cases, but one common factor. Think about it. Where are the fault lines in our education system? Or should I say, the ignorant gigantic cracks we all have been trapped in at some point.Does the thought ever cross your mind that a change needs to be made? Do you think the price paid by these students for such minor issues will ever be given justice to? The education system of India has undoubtedly come a long way, however the issues drowning the students of our country speak otherwise. There are flaws in our system which need to be addressed and acted upon to make a better and positive experience for our children and the generations to come. Not everyone has the access to primary education. Wikipedia mentions that the average literacy rate on a global level is 84%. From the year 1947 till date, the Indian literacy rate has escalated from 12% to 74% which is a humongous improvement as well as a commendable achievement for our nation. However, India still has the worlds largest illiterate population. There are still sixty lakh children and 287 million adults in India who have never received any formal education. The extensive learning crisis has complex dimensions attached to it. Poor households do not have access to proper meals to feed their children, let alone education. Such families end up prioritizing labour work for money. Apparently, it is a luxury they cannot afford. There is a desperate need of effective programs with ample budget and proper implementation by the government, covering every city, town, village and district throughout our nation. Clearly, it is no shock that our education system primarily focuses on rote learning. There are only ‘certain aspects’ of the curriculum that require memorization, but evidently the rigorous learning of ‘everything’ is mandatory(with a few international schools as exception). Numerous institutions and universities all over India follow the fixated style of question papers and exams. Every student just ends up studying for the heck of passing or scoring straight A’s in all the subjects. The standardized testing defines a student with no format included to recognize his/her’s aptitude. Also, if you do not mug up and vomit the textbook language word to word in the exams, you may end up getting poor marks or even ridiculed by your professors. This unnecessary compulsion to cram ultimately diminishes the student’s ability to analyze, remember and re-apply the concepts. Teachers bullying children is more common than you think. I feel this form of bullying is one of the most damaging. Drop in self-esteem, low grades, bunking, depression and disinterest in studies are just a few things that the child goes through. The majority of teachers we encounter are beyond brilliant with an aim to nurture and educate students. However, some of them are monsters. To be very honest, I am a victim of teacher bullying and am pretty sure there are many students or graduates like me who have fallen prey to it. I was verbally abused (constantly) by certain professors and some had no reason in fact to do so — they just enjoyed bullying. If you end up getting stuck in their hate radar, you’re pretty much screwed until you finish your graduation. I was literally bullied by a female professor in my Oral Surgery department. Harsh comments, made to wash out my kohl with a soap used for post-surgical cleaning/scrubbing(thrice), even though the entire college was allowed, getting ridiculed-became part of my curriculum. There were so many students I knew who were getting bullied by the administrative staff and teachers. It was something we had all just accepted-to stay in fear. Each student is unique. And if you take time to grasp or memorize (which is perfectly fine)-you are immediately considered dumb and the hell begins. Aren’t we all here to learn? To grow? Not that I was a brilliant student, just an average student who really struggled with the teaching techniques. All the scolding, shouting, unnecessary anger tantrums, re-writing chapters and taunting completely threw my confidence out of the window. I just started staying quiet whether I knew my answers or not. I was terrified. Thankfully, there were some professors who were genuinely interested to help and teach, which made my five years quite bearable. I have studied in more than eight schools from three different countries. But, my experience in dental school was a living hell. Well, after countless crying episodes and panic attacks, I just struggled my way out of there and never set my foot in that institute ever again. Now that I think of it, I’ve learnt to be a stronger person. If you are going through something like this, speak up. Talk it out with your friends, family or relatives. It IS a form of abuse. Bottling the frustration, the anger, the helplessness isn’t going to make you feel any better. The reservation system without a doubt works in favor of the backward classes of the society. However, there are certain drawbacks to it. Suppression of meritocracy is one of the major disadvantage that comes along with it. According to a national survey, only 0.7% of scholarships are provided on the basis of merit. Rest of it goes to the oppressed communities. Deserving students who are financially weak and belong to the general quota are stripped away from the benefits. Maybe the fundamental solution should have been the establishment of more schools and institutions in the rural areas, instead of a debatable caste-based reservation system. No focus on research and training. The examination system of our country only tests our students retention power. There is hardly any motivation towards research. 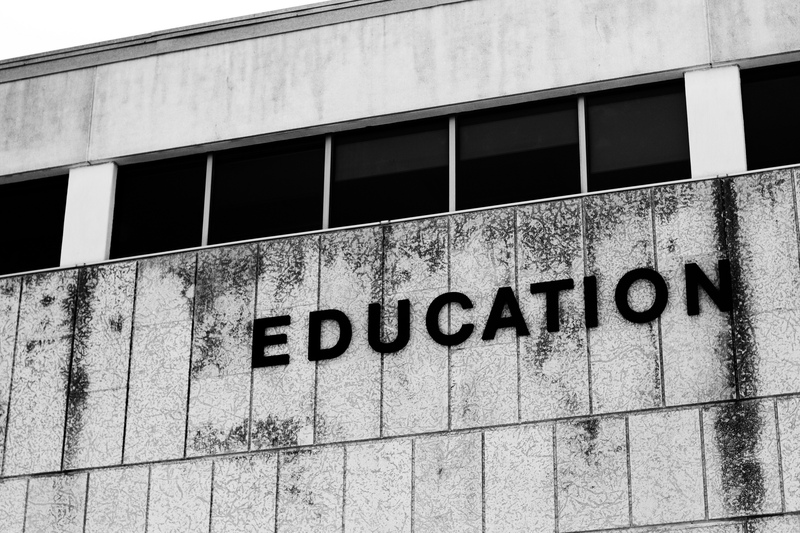 Most educational institutions owned by the government aren’t well equipped with the latest technology and infrastructure. India just spends 0.85% of its GDP on research while China and Sweden are spending 2.1% and 3.1% respectively. Low investments are directly proportional to low returns. We desperately need educational and research institutes which promote and encourage a culture of experimentation, the exchange of innovative ideas and its practical application. Despite the pool of talent and creativity, we fail to deliver it to the next level. Numbers don’t lie. The increase in the number of suicides every year are proof there is (undeniably) something wrong going on in our education system. That ‘something’ wrong has been driving students to make a decision between life and death. The pressure to perform and ‘excel’ is staggering along with the parental pressure and the choosing of a career line which will bring them a big paycheck, instead of following their passion. Here, I wish to talk about the children who are not allowed to study due to a health condition-physical or mental. There is hardly any provision for children with disabilities and special needs. Sadly, a very serious yet neglected issue in our country. In India, majority of children with special needs are segregated from the normal routine and social activities done by other children.Three percent reservations are mandated for the differently-abled population for jobs and education, however only 0.56% of those seats have been provided or filled over the past two decades. As per guidelines, all schools must have a special needs teacher for children who require additional guidance in studies. Several policies and programmes have been created in interest of such children, however the implementation efforts have not resulted in an inclusive education system nor special need educators for them at each school. Disclaimer: The views expressed are of the Author and may not necessarily represent the views of The Daily Brunch website. Next articleDEALING WITH A HIGH HEEL HANGOVER? hello!,I really like your writing very so much! proportion we keep in touch more approximately your article on AOL? I need a specialist on this house to solve my problem. May be that’s you! Having a look forward to look you.